It’s true. I was completely obsessed. As I got older I explored other makers-forms such as knitting and collaging and of course, embroidery. But recently I’ve wanted to get back into decoupaging because the glue smells so good, er – I mean, because I like decopauging….? Today I’m sharing a little DIY project with you that I’m so excited about. This is a classic decoupage project and it requires very little money, which I always love. I bought my bangles from this shop. 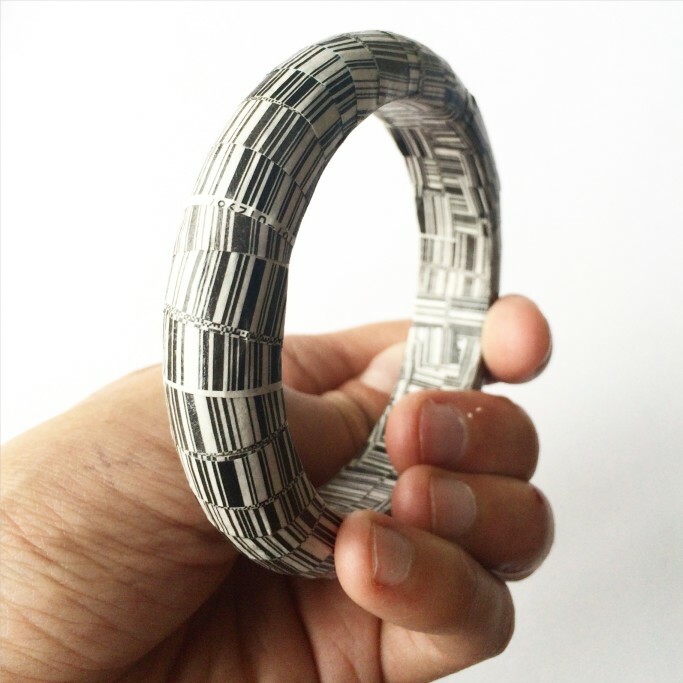 I got the set of three wooden bangles because I wanted to make a few, but any of the raw wood pieces would work! In my tenure as a Junior Decoupage Expert, I discovered that magazine paper works best with the decoupage glue, but magazines are expensive to buy with the purpose of cutting them up, and if you bought them to read, it could be difficult to take the scissors to them. 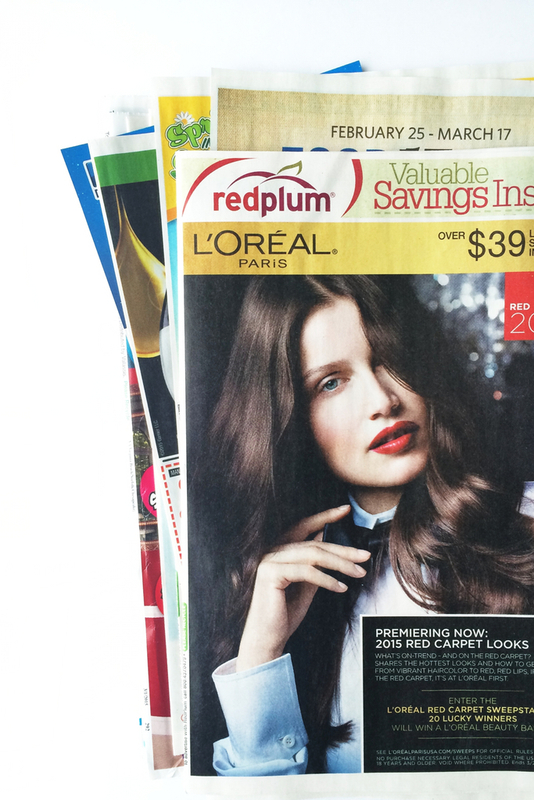 So when free magazine papers show up in my mail box, I’m all about that – which is why for this project, I used pieces cut from the coupon inserts. Be sure you use the glossy pages only, the matte/ newspaper like pages will bleed color when the glue hits them. I went through and cut out a bunch of the bar codes from the coupons. This is an easy element because it’s literally everywhere. You can totally use any mix of elements you’d like though. I stuck with barcodes to get an overall black and white, modern look. 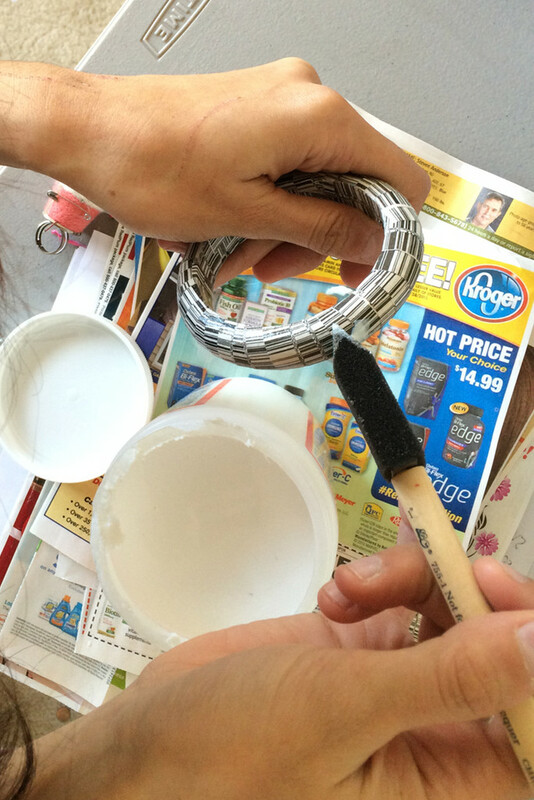 If you aren’t familiar with the decoupage process – it’s very simple. 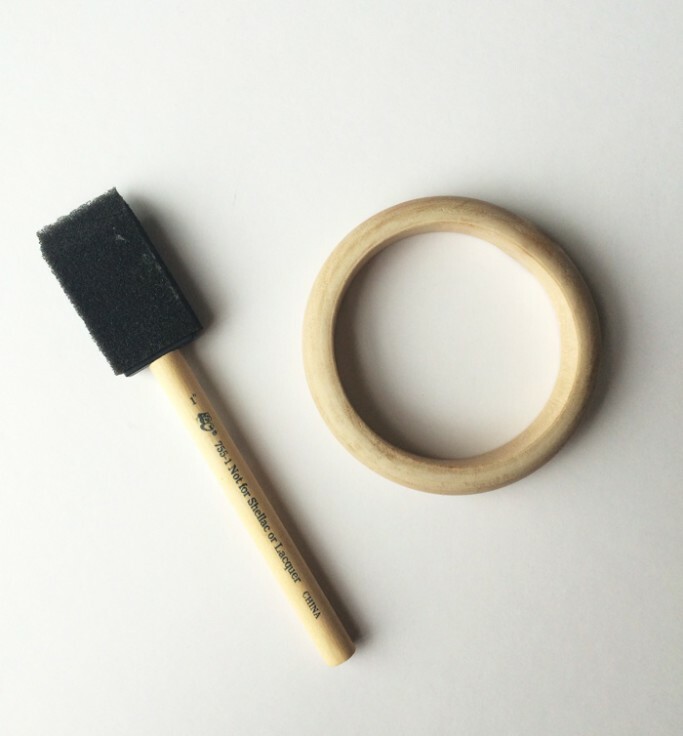 Use the foam brush to lay a thin layer of glue over the area you are going to cover. Use the foam brush to smooth it over with another thin layer of glue. Repeat till all surfaces are covered with paper. Overlapping is inevitable and makes things more interesting. Let dry, then do a final thin coat of glue all over. Pretty neat right? Maybe i’ll get some discounts on cat food by accident next time I’m at the self check out. If you try this out, let me know! I would love to see what you come up with. I love this idea! Looks so cute. 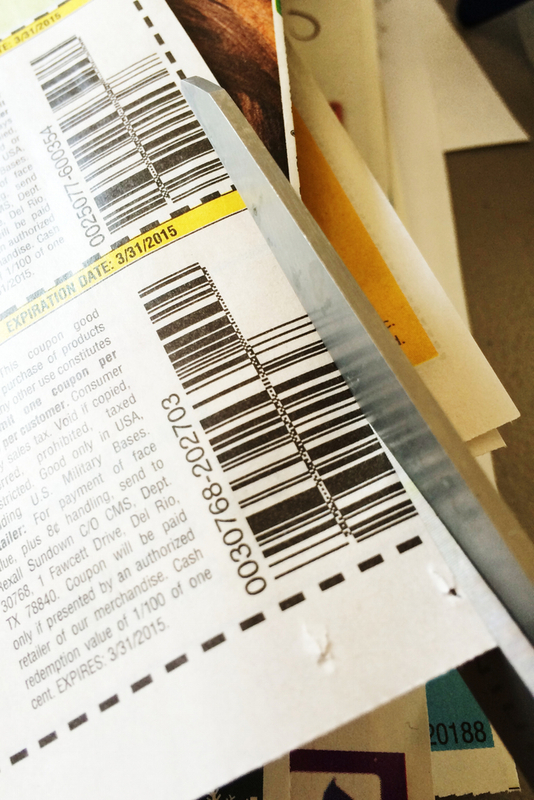 I love that you thought of using just the barcodes. Not nuts at all… I love this project. Thanks for the idea! They are all great kits that would make fabulous pieces of jewelry that would go with most outfits. What a nice tutorial! When it comes to handmade jewelry, Luca + Danni always on my mind! ;) Sydney, check it out! tons of varieties on handmade jewelry, including: pendants, bracelets, necklaces, etc.